Subject(s): Religious and Spiritual life. 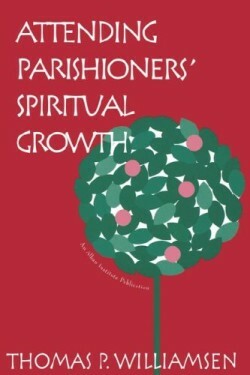 In this clarion call to tend to spiritual growth, Williamsen provides a much-needed resource for clergy. Discover how to assist parishioners in their prayer and spiritual lives. Learn how individual spiritual growth can flow back into the congregation’s growth as a community. Explore new ideas and practical approaches to using Christian education, worship, retreats, devotional guides, and church meetings as tools to achieve spiritual growth. Learn about gender differences in spirituality, the importance of your own spiritual life, spiritually grounding lay leaders, and encouraging spiritual friendships and study groups. This book will be helpful for clergy interested in developing spirituality at the individual level, seminary professors who want to help their students explore this aspect of parish ministry, and judicatory executives who wish to encourage their clergy in this area.